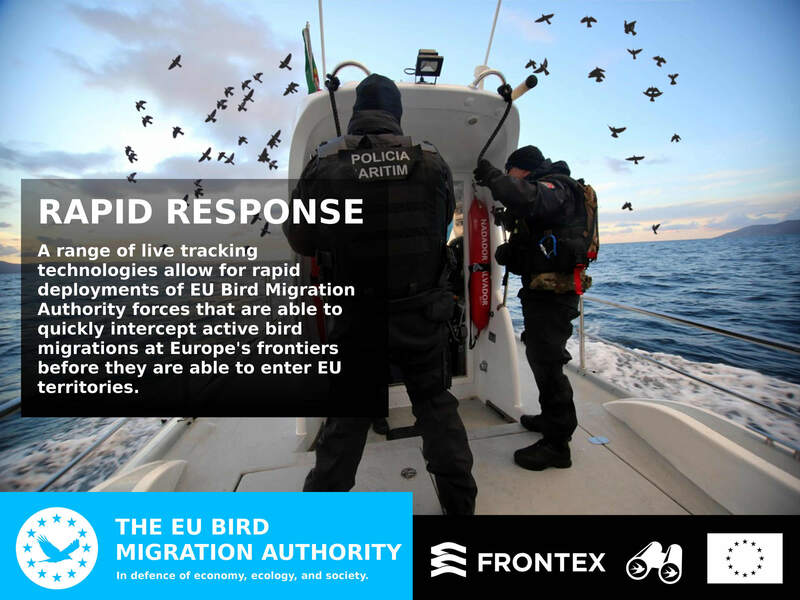 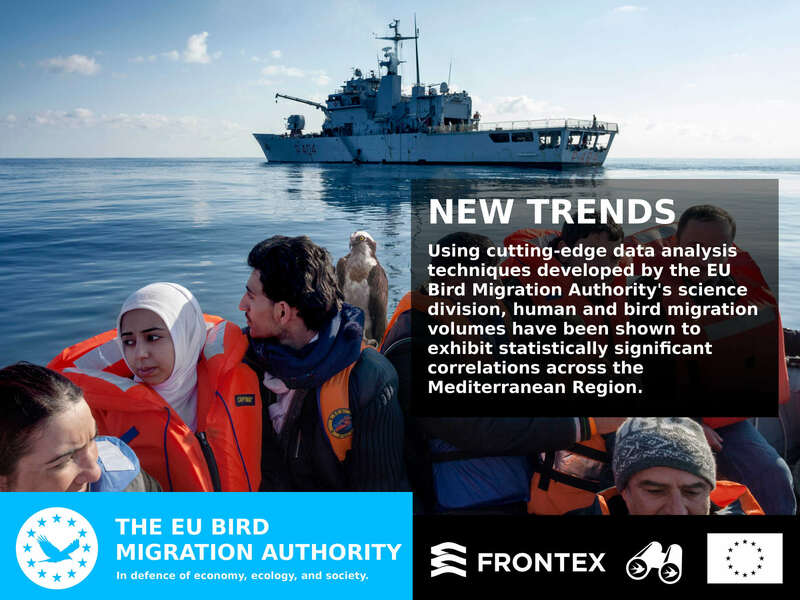 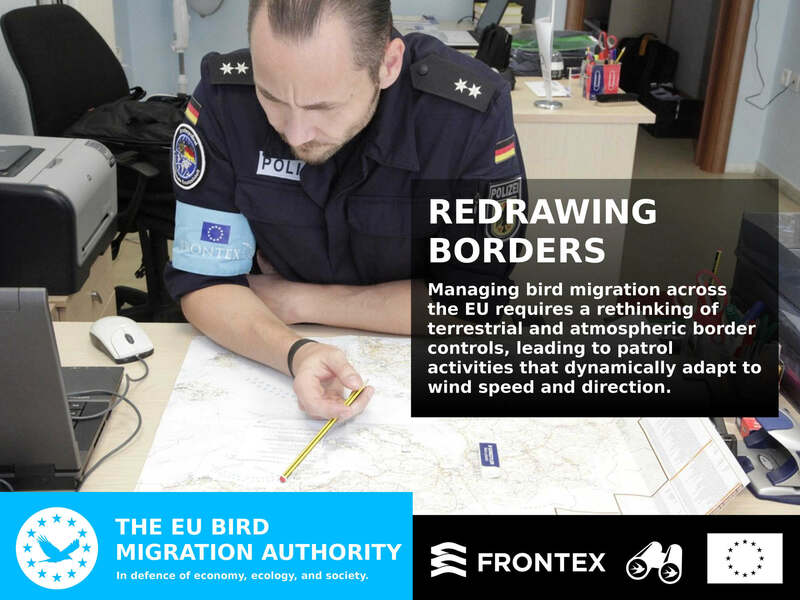 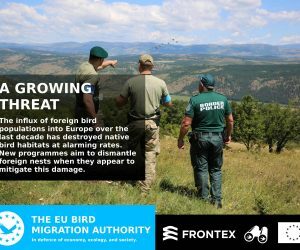 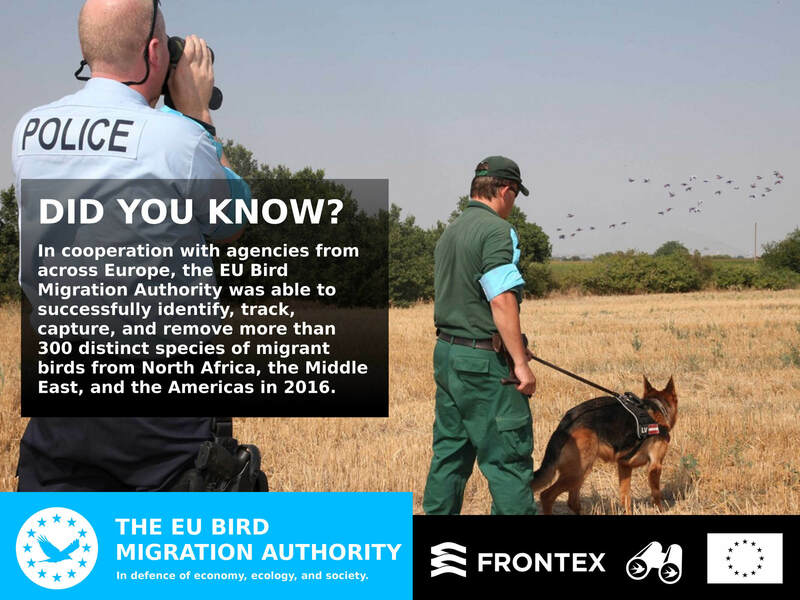 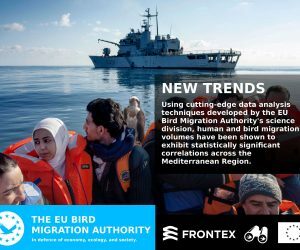 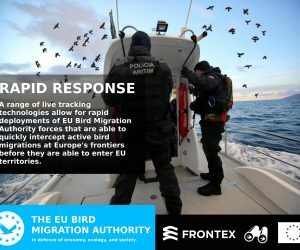 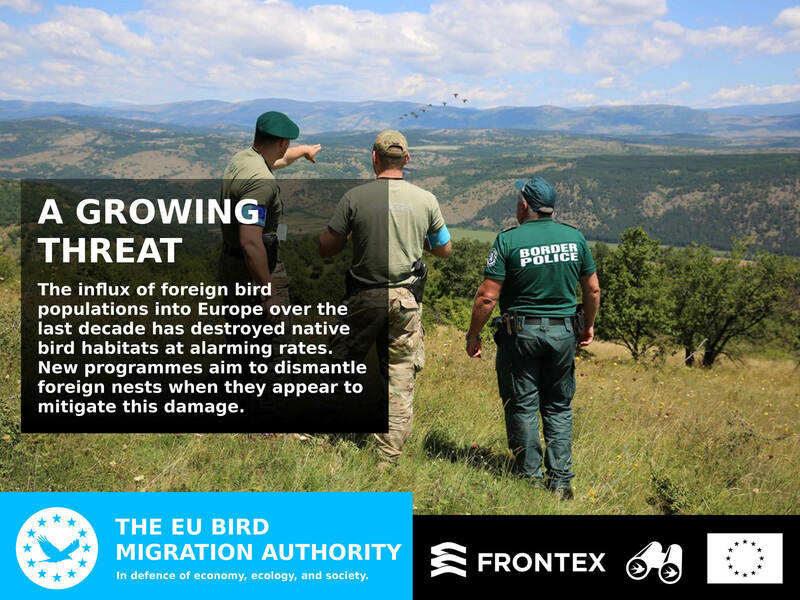 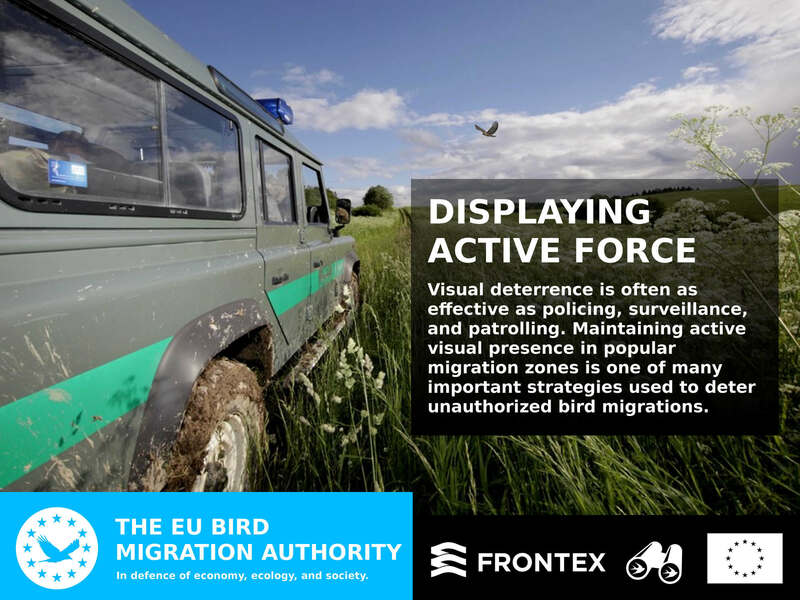 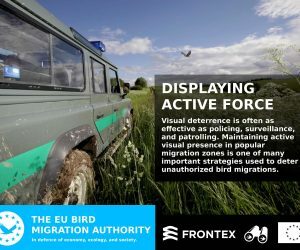 The EU Bird Migration Authority is a fictional agency created while Ian Alan Paul was participating in an artist residency at the HomeSession project in Barcelona, Spain. 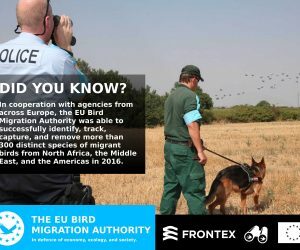 The project acts as an investigation into the politics and ethics of the policing of human migration, and also explores the conceptual divide between human and animal migrants. 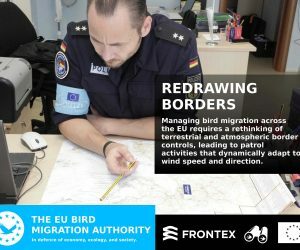 Much of the materials used in the project are repurposed/remixed media from Frontex’s archives.